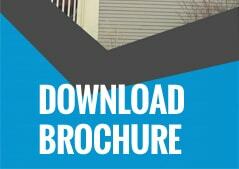 Stop Losing Money on Energy Costs this Summer! High heat and humidity can combine to make life miserable for those in and around Miami. Having the right windows on your home can make a world of difference, though! In fact, you can feel an immediate difference and start seeing energy-cost savings on your first bill after the window replacement. At Best Windows, Inc., our team has been offering energy-efficient and high-quality residential window replacement for more than 15 years. We carry windows with an NFRC U-rating of 0.22 and 0.27. In addition, our Thermolock line includes a UV-block rating of 91%! What does this mean? Quite simply, heat and harmful UV radiation will be kept out of your home, even on the sunniest days. Not only do they look great on their own, but our bay, garden and bow windows all provide a small windowsill area to place favorite photographs, potted plants, decorative items, or other decor to spice up the room. Maintenance-free, durability and longevity are a focus with all of our windows. In fact, you will even find the process of cleaning the windows to be a breeze, no matter how often you choose to do it! Our installation team has been with us since 2006. They’re professional, experienced and passionate about their work. 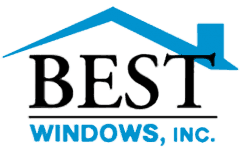 Best Windows, Inc. is fully licensed, insured and bonded as well, to protect your home and surrounding property. No matter how hot it may get in the summer, or how cold it may be in the winter, you want to know your energy bills won’t be sent through the roof from poorly insulated or improperly installed windows. Feel free to contact us at any time that is convenient to you, with your questions or comments. We’ll get back to you quickly.